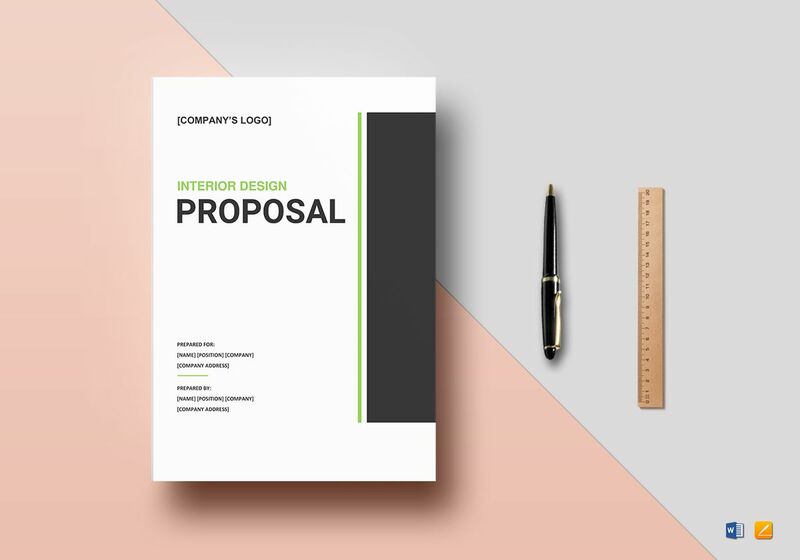 The interior design proposal template is available for download, anytime, anywhere in multiple file formats such as Microsoft Word or Apple Pages. 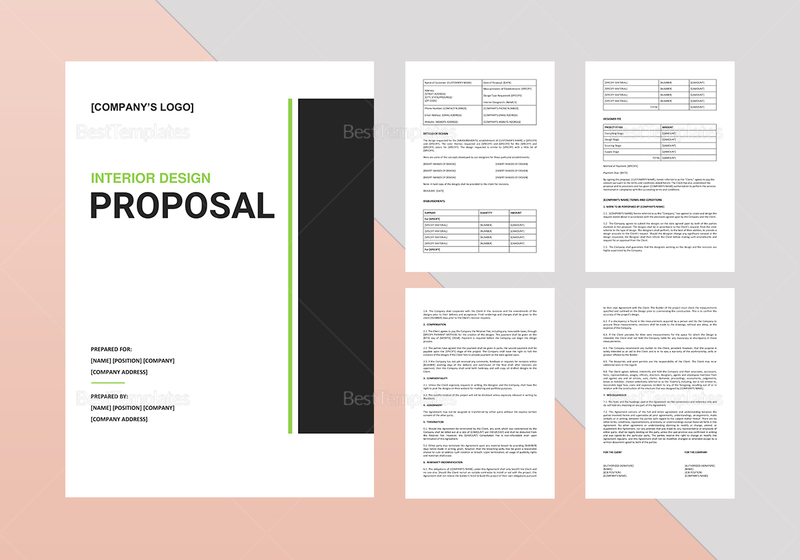 This 7-page template is easily editable and customizable, which makes it easy for you to make your own. 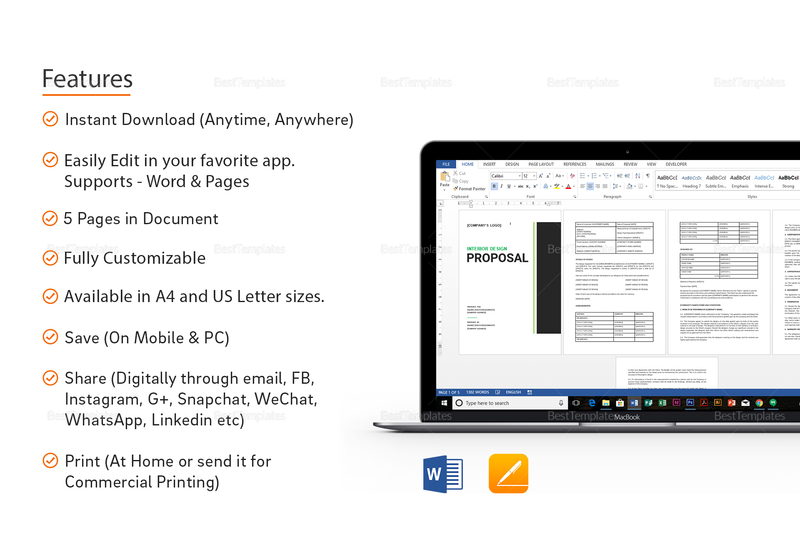 It is also supported by Google Documents for easy online sharing.